Comment: This portion of the Joseph story in Genesis speaks to reconciliation and the fulfillment of God’s promises by God for the purpose of God’s work in creation. Joseph deceives his brothers in revealing himself to them, and through this we see that God uses even sinful actions to fulfill God’s own purpose and promises. Duncan is a boy who loves to color, but one day he sees that his crayons have quit. 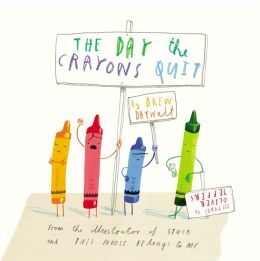 They each write him a note stating why they have decided to quit and why he can’t use them, meaning that Duncan has to figure out a way to appease each of the crayons before he can again color with them. As he reads the letters, which are written in a way that the readers become Duncan and imagine the crayons are talking to us, Duncan begins to dream up an idea that will help him appease all of the crayons and help him create a beautiful work of art. The Genesis passage states “God sent me before you to preserve life…it was not you who sent me here, but God.” Duncan realizes that he must use his crayons in a way that will not only be thoughtful to each one, but will create something beautiful for all and not just himself. Similar to the crayons rebelling, Joseph schemes his brothers, but in the end, both the crayons and Joseph are used for the purpose of creation and reconciliation. Comment: Looking at verse 30, we focus on the notion of mercy despite disobedience: “Just as you were once disobedient to God but have not received mercy because of their disobedience…”. This passage from Romans, when read in in the entirety of chapter 11, speaks to our inability to earn any salvation or favor from God by our own means – it is given through God’s mercy. 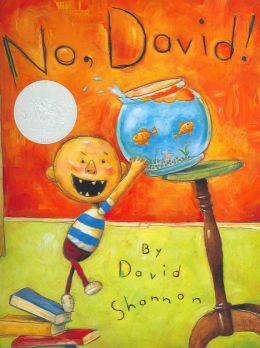 David is a boisterous and active little boy who pushes his parents’ buttons and is constantly hearing “no” or “stop” or “come back” from his mom, probably much like what Israel felt that God was saying to them. The passage ends with verse 32 saying, “For God has imprisoned all in disobedience so that he may be merciful to all.” After David hears many times “no” from his parents for being disobedient, he penitently returns to his mom who enfolds him in her arms and assures him that she loves him. David receives mercy despite disobedience; we (Israel) receive mercy despite disobedience. Comment: Betty Mae Jumper is a female tribal leader elected by her peers as their representative. Due to her mixed-marriage parents, she was an outsider in her nation. In her teenage years she learned her love for reading and used her determination to lead her to success in school and nursing. 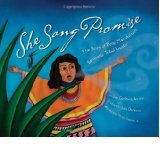 She returned to the same people who shunned her to serve them in hopes of bettering life for the Seminole people. In Matthew 15, Jesus teaches the disciples that what people say and do speak much louder that what they take in, teaching this in reference to the Mosaic law and Jewish tradition. The scripture continues with the story of the Canaanite woman’s faith in which Jesus tests the disciples as they desired to send away a person in need. Christ instructs that the woman’s faith was great. Betty Mae was able to overcome the words that demeaned her as a child to achieve enough to bring her gifts and skills and grace back to her own people, even the ones who were hurtful and ostracizing to her as a child. The story of Betty Mae speaks well to both pieces of this scripture in that it is a real-life story showing that gifts and grace are meant to be shared, despite and in spite of ugliness that proceeds from those with whom you associate. Grace will triumph over ugly and gifts are born out of faith. The Lectionary Links this week are written by regular contributor Katie Todd. Lectionary Links: Sunday, August 17, 2014 by Storypath is licensed under a Creative Commons Attribution-NonCommercial 4.0 International License.